Family floater or senior citizen plan: which one is better? Health insurance for senior citizens and elderly people who are not senior citizens yet is necessary as health issues, and therefore, expenses on health are prone to increase with age. Health insurance for senior citizens and elderly people who are not senior citizens yet is necessary as health issues, and therefore, expenses on health are prone to increase with age. Insurance companies have health insurance policies that provide exclusive health insurance cover to senior citizens. 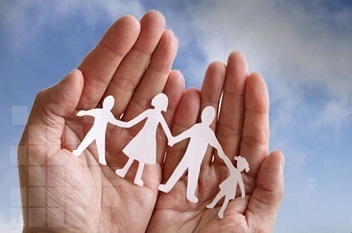 The question is: Should you buy an insurance plan for your family such as Family Floater Plan (FFP) that provides an umbrella insurance cover to you, your spouse, children and your parents or should you buy a separate plan for your parents? If you buy a FFP that includes your parents, the premium you pay will be higher than you would pay for average FFPs, as the risk increases due to you parent’s higher age. However, if you buy separate senior citizen plan for your parents, the premium will be lower as it will be based on the number of individuals. The advantage in both the cases is that you can avail tax benefit on the premium you pay. If, on the other hand, your parents decide to buy themselves a senior citizen plan, the benefits of buying a separate health insurance plan remain the same, except the tax benefit which can be availed only by the parents. So, depending on your and your parent’s insurance and tax planning needs, you can choose whether to buy a FFP or a separate senior citizen health insurance plan.